The perfect party needs a perfect location. Think about how many people you'd like to attend, which activities you're planning,and how long the party will go on. 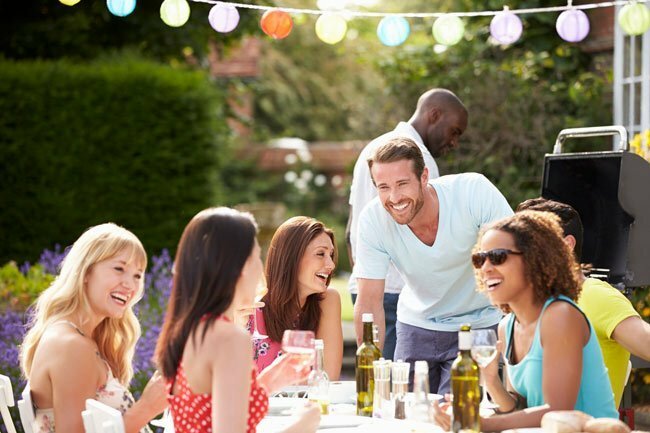 If it's a relaxed get-together with a small group of friends, your backyard could be perfect. If it's a big bash with everyone you know, hiring out a venue makes sense. Does your party cater to the needs of every single guest? Even if the majority of guests are adults, it's smart to have a few activities available for kids - think face painting, paddling pool sand inflatables. Likewise,even if most guests are young, it's important to think about elderly attendees - make sure there's a comfortable chair in a shady area so they can enjoy the fun without getting exhausted. Tempted to throw on a barbecue and hope for the best? That's not a great idea,as you might leave some guests feeling hungry. Try to cater to any vegetarians, vegans, meat-eaters or those with intolerances who might be attending,and make the ingredients of everything you offer available to guests. When you're catering to large groups, hiring a cold room is also a smart way to keep everything fresh and tasty. Is it really a summer party if you're not enjoying your favourite iced drinks? This is another job for a cold room or freezer room- no body wants to be drinking lukewarm cocktails by the end of the event. People who are too hot won't stay at your party long, so be sure you provide plenty of drinks to keep them cool. Offer free water to prevent anyone suffering from dehydration, which can lead to serious health problems. As well as keeping drinks ice cold, your freezer room is the ideal place to store refreshing ice lollies and other frozen treats. Music is everything when it comes to parties. For a small gathering, you could ask everyone attending to suggest a song and put together a big group playlist. For larger events, it makes sense to choose old classics, top hits and tunes that will get everybody up and dancing. Now isn't the time to showoff those rare B-sides you've collected - go for the crowd pleasers instead. Hosting a party where not all of the guests know each other?It's your responsibility to get people chatting and having fun! Try inviting people who you know have shared interests or similar senses of humour, introduce everyone,and take a few minutes to get the conversation going. Before you know it,all of your friends will be besties. Between dancing, singing and playing games, summer parties can get exhausting. Make sure your guests have somewhere to relax and get their energy back by providing plenty of comfortable seating. Arrange seats in small clumps so that guests can chat together,and always provide more seats than you think you need. There's nothing worse than being the person who has to awkwardly hover. Make sure your guests enjoy themselves by following the top tips above and throw an awesome party this summer. If you're ready to hire a cold room for your event, head over to our website and get in touch.